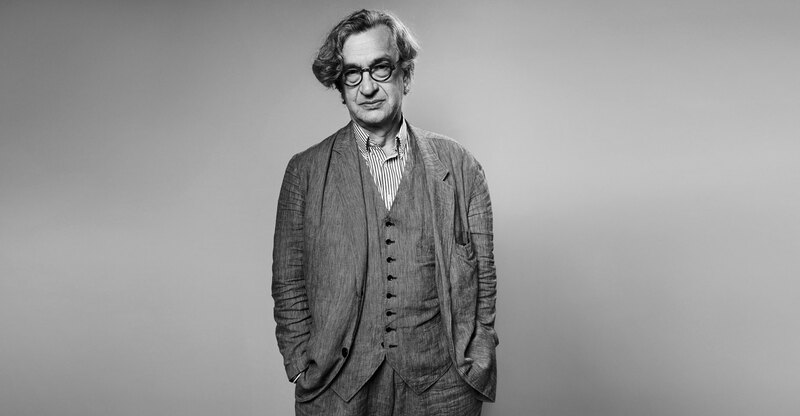 Mr. Wenders, you once said that at the beginning of your career you felt like a painter who was searching for a way to express time. Would you still describe your approach to making films that way? I started making movies as an extension of painting. I worked as a painter, I wanted to be a painter, but it is difficult to catch the element of time in images. So as a painter it made a lot of sense to start using a camera. When I started out as a filmmaker, it was in the mid-to-late ’60s and video was not really invented yet. There were no artists who worked with film – except some artists in America who did it in an experimental way. Most famous was probably Andy Warhol. I thought that was the future. I don’t think of myself as a painter anymore. In photography, yes, but in filmmaking I am strictly a storyteller. For me it is all about the story that I am trying to tell. That is my dominant force. But one can definitely see the influence painting has had on your work. Some of the frames in your films could even be landscape paintings. Of course I still make frames in order to tell stories, but each of these frames has a function in relation to this story. My first films, short films, were non-narrative. There was no story, there was nothing happening, there were no actors. It was mostly because as a painter and later on as a filmmaker I was most interested in landscapes and places, but now I am really a storyteller. What caused you to make that transition to narrative filmmaking? When I started out making films, I discovered very quickly that you could make a movie while you are travelling. You didn't have to do it in a studio, you could take your camera with you on the road. I discovered that there was even a genre associated with this idea – although the road movie was more popular in America than in Europe. As soon as I started to travel with the camera, I discovered that I had found a form of expression that really suited me. Some of your most beloved films are road movies. Why do you think that form suits you so well? Maybe it has to do with my childhood and the atmosphere in West Germany when I grew up. It was a very narrow space in many senses: It was small to begin with, had lots of borders around, and people were, I felt, quite narrow-minded. So the greatest urge I had as a kid, the greatest pleasure, was to travel. I travelled alone for the first time in a train when I was five years old and that was a glorious day in my childhood when I sat alone on the train with nobody watching me. Just to my grandmother. My mother was pregnant and she couldn't come with me, but she brought me to the train and tried to find people on the train who could watch me. I couldn't believe it! I was so angry with her. I said: I don't want anybody watching me! To my great relief she didn't find anyone who was interested in watching me and she left the train. I was on my own and I realized that I found the greatest thing in life – travelling on my own. The trailer for Portraits Along the Road, a retrospective of Wenders' films put together by Janus Films in 2015. Like you said, the road movie is primarily associated with American culture. Your work has been influenced by America in other ways as well and you even lived there for a long time. When did you become so fascinated by America? It didn’t happen from one day to another. When I grew up, the first input I got from America was literature. When I started reading, I read a book every day and very soon my two favorite books were Tom Sawyer and Huckleberry Finn by Mark Twain. They were by far my favorite books when I was a kid. The next thing I really liked were comic strips. They were unknown in Germany, but I became a collector. I collected every comic strip that existed, from Mickey Mouse to Superman. The next thing that arrived was rock ‘n’ roll when I was around 10 or 12 years old. I had not been interested in music so much before because the German songs my mother listened to on the radio didn't interest me at all. But when rock ‘n’ roll arrived I realized that this was the best music in the world. This was also American, so there was already a certain tendency. So everything I really liked when I grew up was American. I bought all these records, but because my parents hated this rock ‘n’ roll I had to keep my records at a friend’s place. But if you have to defend something that you like, it makes you to like it even more. And what I like most is that all these interests were really mine. My parents hated the comic strips, they hated rock ‘n’ roll, and when they found out what movies I was going to they also were against that. So everything I loved I had to defend. What kind of movies were you going to? I discovered the American cinema and especially John Ford’s work at the Cinémathèque in Paris and I had a great affinity for these films. I learned a lot through these films, how deep a film could go into your own emotions. Is that why you included the touching moment in Alice in the Cities where Rüdiger Vogler reads the news about his death? Yes, when John Ford died in the middle of the shoot for Alice in the Cities I was really sad because I realized that I had never met him and that I would never have the chance. With that scene I wanted to pay homage to a man whose films had meant so much to me. If you love something very much, you want to do everything you can to share that. Was your love of American culture the reason you decided to move to the United States in the late 1970s? I made the decision twice to go to America and I’ve made the decision twice to come back. I was there once from 1977 to 1984, I lived there for almost 8 years, but then I was lucky to come back. My first stay in America was sort of unhappy. The film that I travelled to America for was Hammett. It took an eternity to make and in the end I was not happy with the result. Then I was very lucky that I was able to make Paris, Texas, which allowed me to come back – because I didn't want to come back defeated. I wanted to come back with something. Well you certainly did – it won the Palme d'Or that year at Cannes. Paris, Texas was finally the American film that I wanted to make in the first place. After that I returned to Europe and that was the end of my first adventure there. I left for America one more time twelve years later in 1996. Opening scene of Paris, Texas (1984). Why did you go back the second time? This time it was because I felt that my home city Berlin was in bad shape. It was in deep depression in the ’90s after reunification and it was not a creative climate. I remembered America and decided to go back one more time, but with very different ideas and very different hopes. I was no longer a young, naive filmmaker. But now you are back in Berlin. I knew all the time that I would return. Unlike other directors from Germany and Austria who have gone to America as an exile, it was never an exile for me. It was always some sort of parallel life that I could live somewhere else. I liked America very much, I still like America very much, but at a certain point I realized that my roots and my soul is in Europe. This is the place where I belong.